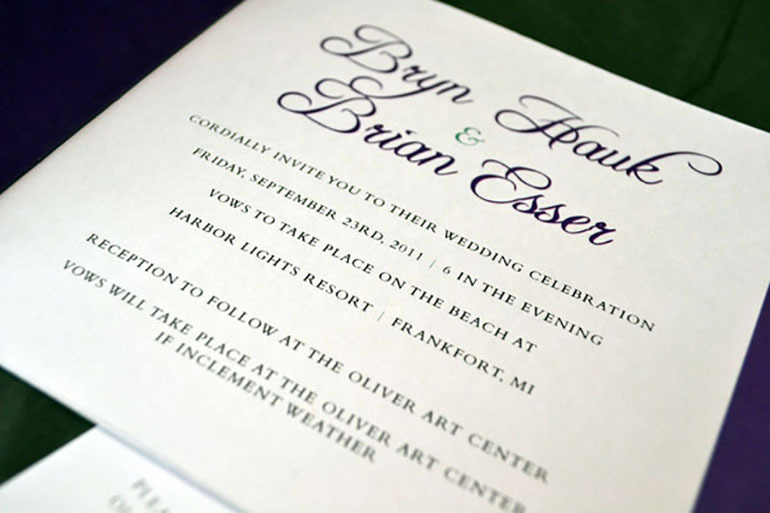 For this wedding invitation, I need to create a design that was flexible. 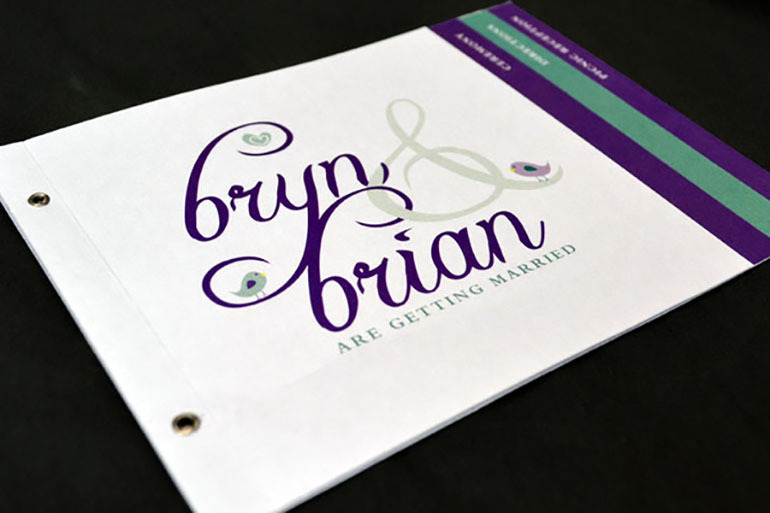 The bride and groom were inviting people to events based on their relationship with them. For example, family members were invited to all events. 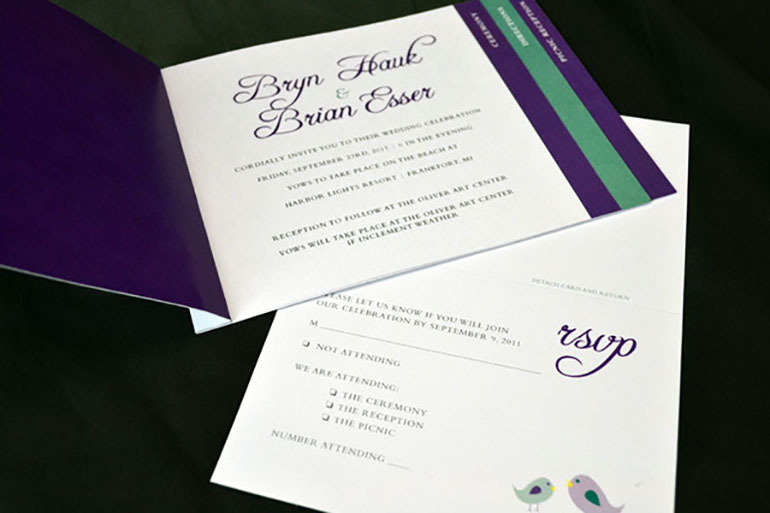 They needed an invitation that was flexible enough to accommodate all situations. 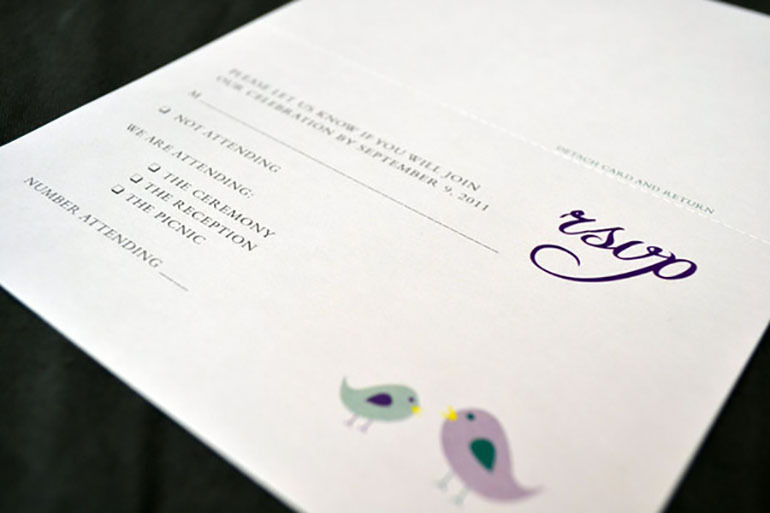 I designed the invite so they could add cards for events as needed. The back page of all of the invites was a detachable postcard to send back as an rsvp for the events the person was invited to. 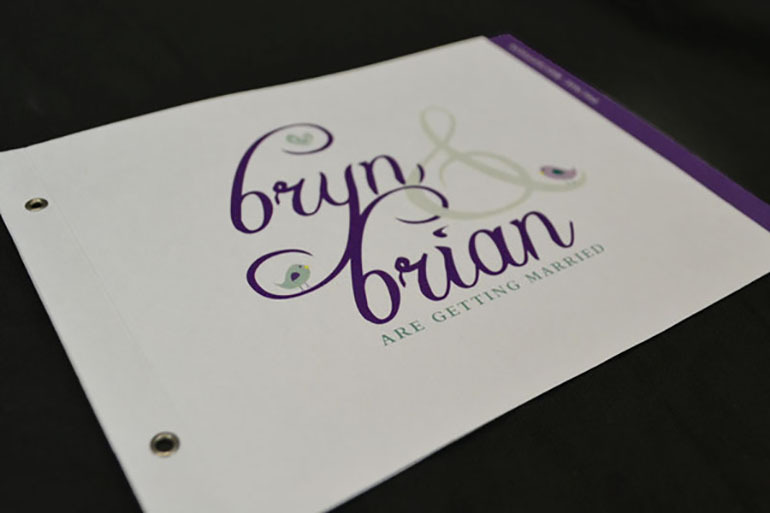 The invites were then assembled and bound with eyelets. The design was meant to give both a sense of whimsy and a sense of elegance. The birds were a symbol the couple was attracted to. It also references the idea of lovebirds. © 2019 Katie Krcmarik. All rights reserved.